You’ve got everything planned out for your Easter event. Best of all, it isn’t even April yet, so you’ve got plenty of time to get everything in order for the perfect Easter celebration! 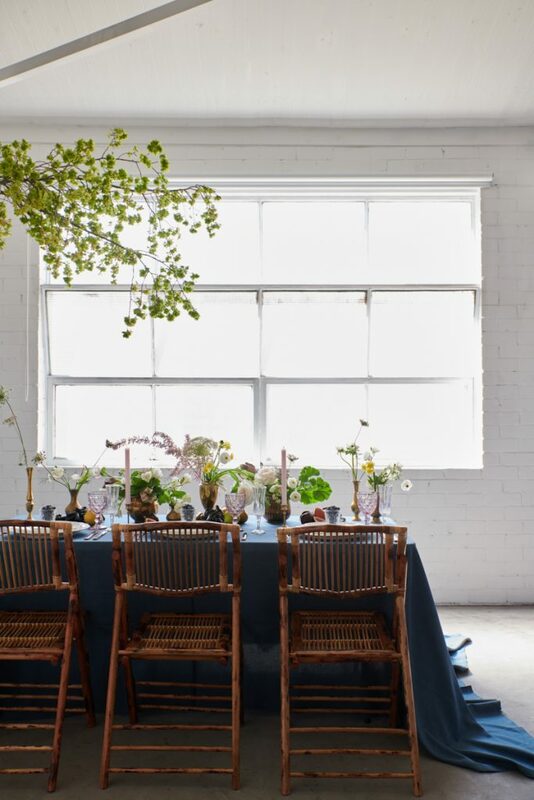 But wait, is your table setting planned? While a relatively small thing in the grand scheme of things, it’s a feature that can have a big impact. In fact, Easter table settings might be just what you need to complete your Easter party and bring everything together! Need ideas? Here are a couple, courtesy of our table linen hire experts! Okay, so this one’s kind of cheating – after all, Easter in the southern hemisphere means falling leaves and the emergence of jumpers and winter coats. If you ask us however, that’s even more reason to go with a spring theme! We suggest playing with pastel colours like blush pink, light blue, ivory, cream, and lavender. These colours are light (in both senses of the word! ), creating an easy and relaxing atmosphere for you and your guests. Keep it simple – stick with white plates, but accent it with coloured napkins or flower arrangements in the centre of your table. 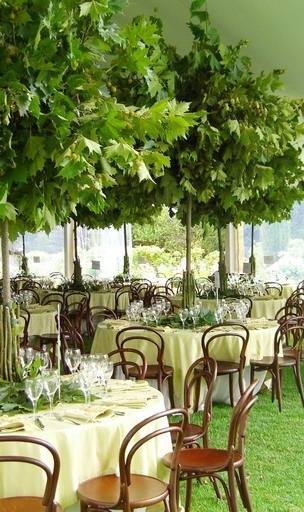 And of course, it wouldn’t be a spring theme without an abundance of foliage and flowers, would it? Consider a relatively straightforward floral arrangement. Glass vases are a good choice, as they enhance the light and airy tone you’re going for. An on-theme alternative to flowers? A basket of rainbow coloured dyed Easter eggs! You didn’t think we’d forget those, did you? 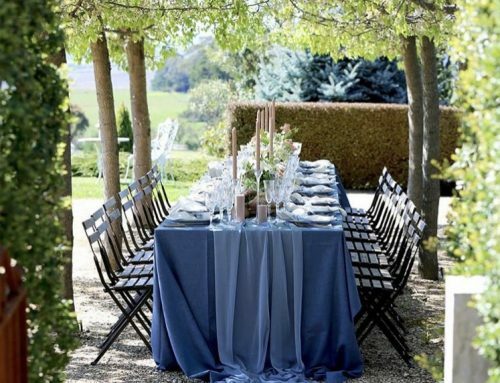 Explore our full table linen hire catalogue. Looking for something a bit more striking? 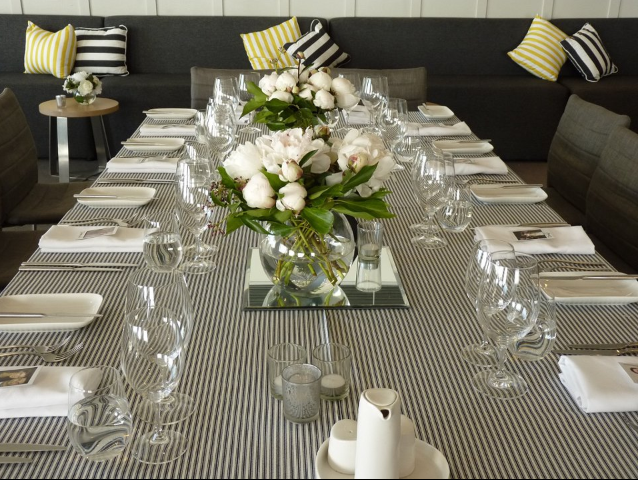 If so, a minimalist black and white Easter table setting might be for you! Warning: you might lose yourself for hours scrolling through Pinterest and marvelling at these beautiful creations! Stark, timeless, and modern, this minimalist table setting has the added benefit of being extremely versatile. You can always start with solid colours – for example, combining a black table with white “everything else” (crockery, decorations, and vases) to tie it all together. Alternatively, if you have a white table cloth, we recommend using black vases, napkins or plates to create contrast and accents. Since you’re somewhat limited in colour (for obvious reasons) accenting, textures and patterns are where you’ll have to look if you want more variety. Finally, bring in glass cups, candles, and a few leafy greens to complete the overall look of sophistication! One of the first things that comes to mind when you think of Easter? Lots of sweets! Why not tie this into your event, teaming bright, bold colours with delicious sweet treats? The styling opportunities are virtually endless, but keep in mind that bold table linen can pair well with relatively plain crockery. 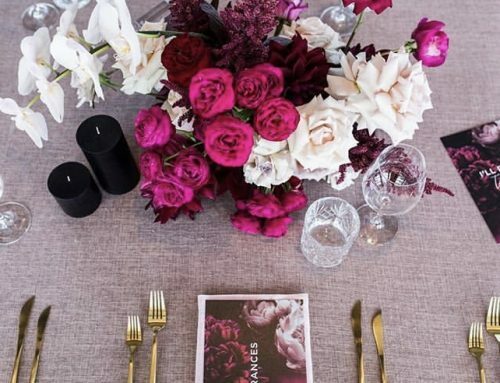 Coloured table is the perfect base on which to build the rest of your table setting. This zesty colour is perfect for a bright and fun event! Orange and green, of course, complement this colour for that Amalfi Coast feel, but you can also glam it up with white, gold, and duck egg blue. 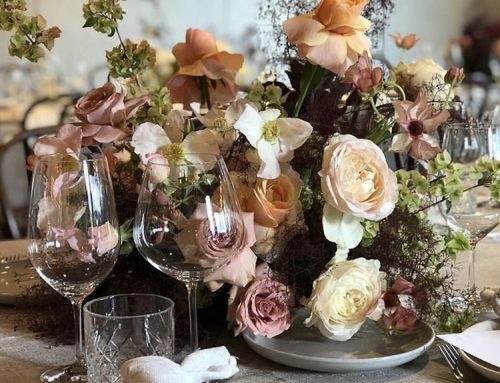 Your table is much more than just a place to eat – with the right Easter table settings, your table can become a work of art. Whether you’re going for a more conservative Easter table setting or something a bit brighter and more vivid, Table Art can help. 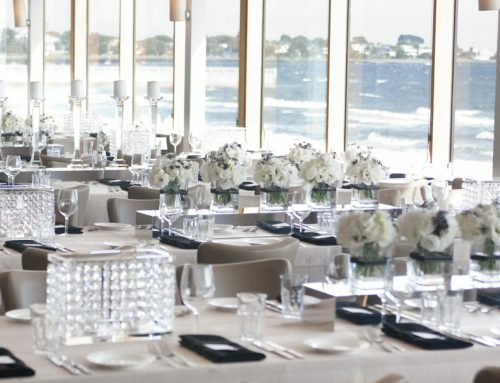 We stock a huge catalogue of different table linen for hire, as well as additional accessories, centrepieces and more. 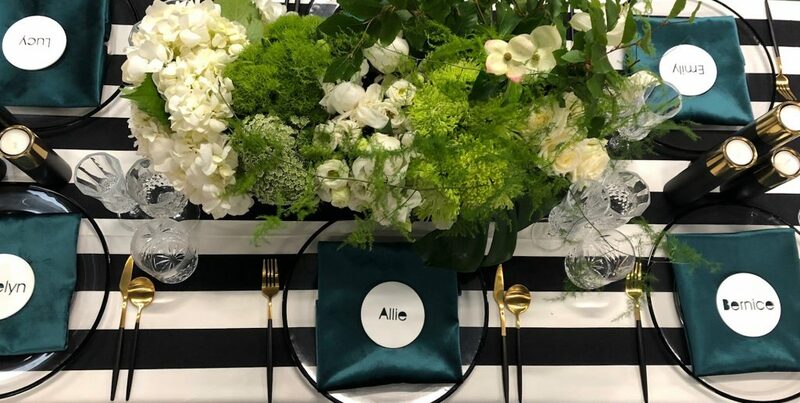 In fact, when it comes to table linens, we can even custom-print them, giving you the power to create an Easter table setting that perfectly matches your brand or company’s vision. The best part? You won’t have to do any cleaning! 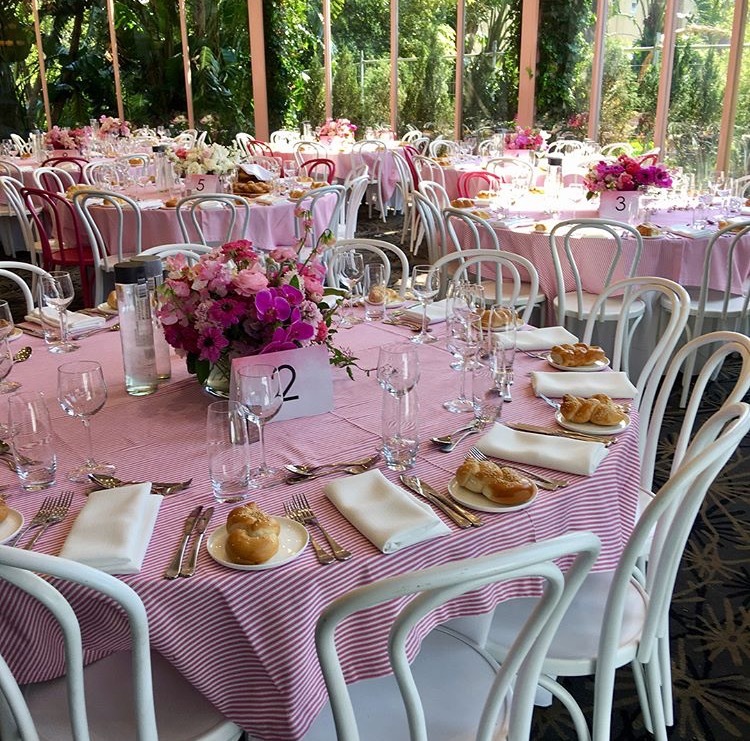 Our table linens come pre-laundered, and at the end of the event, all you need to do is put them back in the bags and return them to us – we’ll take care of the rest. Got the vision for an upcoming Easter event? We’ve got the linen! 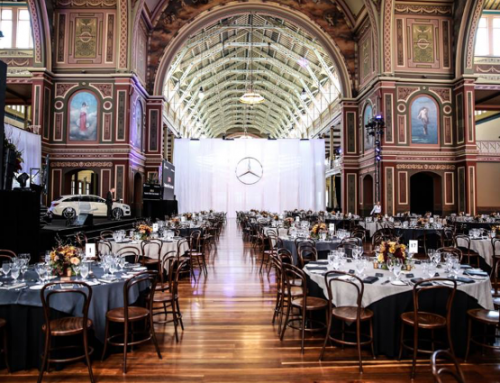 Contact Table Art on (03) 9813 2815, or fill in this form to see how we can enhance your upcoming event!